← Do you need TIME? 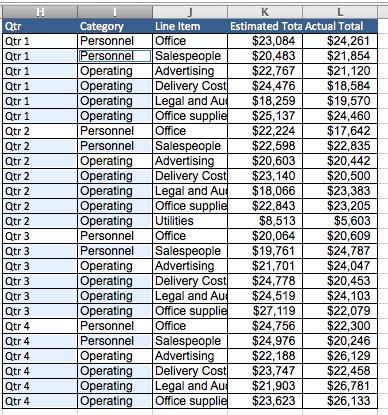 How to fill up all the blank cells in a Table in less than 1 minute??? 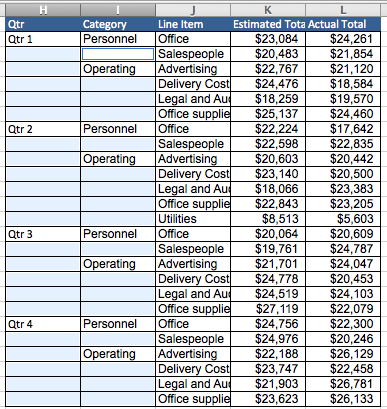 The table on the left is a typical output from Pivot Table. The blank cells help to make the table more “reading-friendly”. However they are not “analysis-friendly” as you cannot apply auto-filter correctly with that layout, not even think about to use formula like SUMIF, etc. 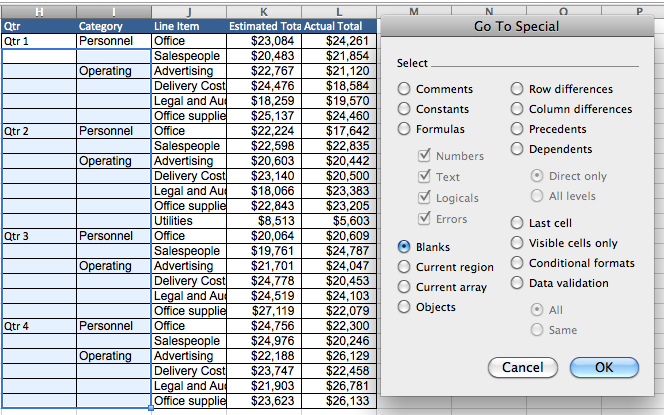 (Note: In Excel 2007 or above, you can ask the Pivot Table to fill up the blank cells for you). 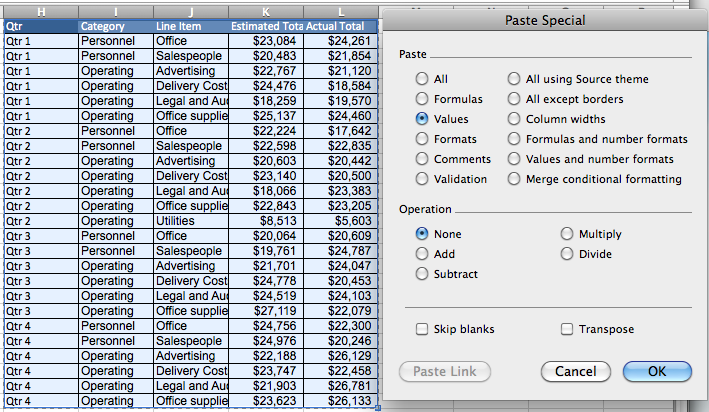 If the table is small, you can copy and paste manually to fill up the blank quite easily. But imagine how long it takes if you are dealing with a table of more than 1000 rows with more than 100 non-continuous ranges of blank cells. A little trick with Go to Blanks together with inputting by Ctr Enter would help you out. 4. All the Blanks are selected. Let’s try to understand what CTRL ENTER does to better understand how the above works. CTRL ENTER simply asks Excel to input the same thing to all the cells selected at the same time. It applies to both Value and Formula. And you look back to step 5 and 6 to see what it does. This entry was posted in Excel Tips and tagged Go to special. Bookmark the permalink. I use the same trick but slightly different execution. Instead of writing the formula after selecting the blank cells, I create a Formula in a blank cell pointing to one cell above, and then simply copy it (pressing CTRL +C). Then I go to select the blank cells. Once selected I just do CTRL + P.
I find I screw up less that way. Btw, I think the last action you suggested is Paste, i.e. CTRL+V (in English Keyboard), instead of CTRL+P. Right? LOL. Yeah… you are right. I was looking at my german keyboard. Pingback: IF Blank, copy above text ?? ?